Can You Cook Fried Okra With Flour? Add fresh okra to stews to thicken, or deep fry whole as an appetizer. 1 What Is the Best Way to Cook Okra? 4 Can You Cook Fried Okra With Flour? Okra is a divisive vegetable, with some people admiring the delicate taste and crunch of the pods, while others are put off by its slimy texture. Fresh okra can be found at farmers markets and grocery stores when in season and can be easily grown by home gardeners. 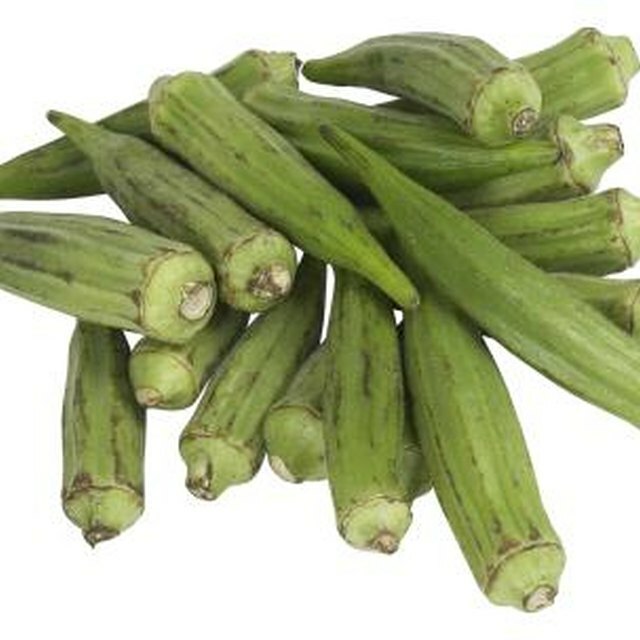 Stored properly, fresh okra can last in your fridge for several days. Traditionally planted in the southern United States, okra is ready for harvesting around 2 months after planting. It continues to produce fruit throughout the growing season. Once it reaches 2 to 3 inches in length, okra is ready to harvest. Harvest okra every other day or so to ensure regular production. Cut the stem just above the pod with a pair of garden scissors or a small, sharp knife. The older the pods are, the tougher the stem and okra will be, so harvest earlier rather than later. 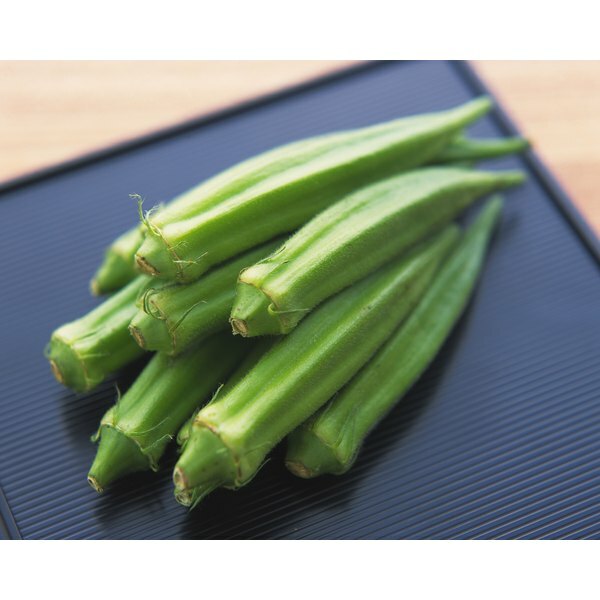 Okra has a delicate velvety exterior and a bright green color when fresh. There should be minimal to no discoloration or browning on the exterior of the okra -- there may be some near the cap, though. Okra ridges should be firm and dry to the touch, and the pods should be free of any soft or mushy patches. Choose pods that are roughly 2 to 4 inches in length. Okra bruises very easily and prefers being stored in a cool, moist environment. Store fresh okra wrapped in paper towels or in a paper bag, and then place it inside a ventilated plastic bag. The paper absorbs excess moisture, which can speed up deterioration. Store in the refrigerator -- ideally between 45 to 50 degrees Fahrenheit -- for no more than 2 to 3 days. Do not wash okra until you're ready to use it. Okra can be used for a variety of dishes, but it's perhaps most well-known as an ingredient for Louisiana gumbo. Sliced, it's added to other soups and stews as a thickening agent. It can also be fried -- whole, halved or sliced -- and fresh pods are made into pickles, which can be served alongside fried chicken or fish, as well as burgers. What Can Take the Spiciness Out of Gumbo After It Has Been Made?